Ryzodeg insulin is a new combination insulin that offers flexibility, ease of use and long duration of action. What is Ryzodeg 70/30 Insulin? Ryzodeg 70/30 (insulin degludec/insulin aspart) is an mixed insulin made from a combination of 70 percent long acting basal degludec (brand name Tresiba) and 30 percent rapid acting insulin aspart (brand name novorapid/ novolog). It is manufactured and sold by Novo Nordisk and is currently available in many countries around the globe including Australia, Mexico, Canada, Korea, Japan and India amongst others. It can be considered as a similar treatment strategy to Novomix30, Humalog Mix25 and Mixtard 30/70 however there are some significant differences between Ryzodeg and older mixed insulins that are worthy of note. Can this be used by people with all types of diabetes? 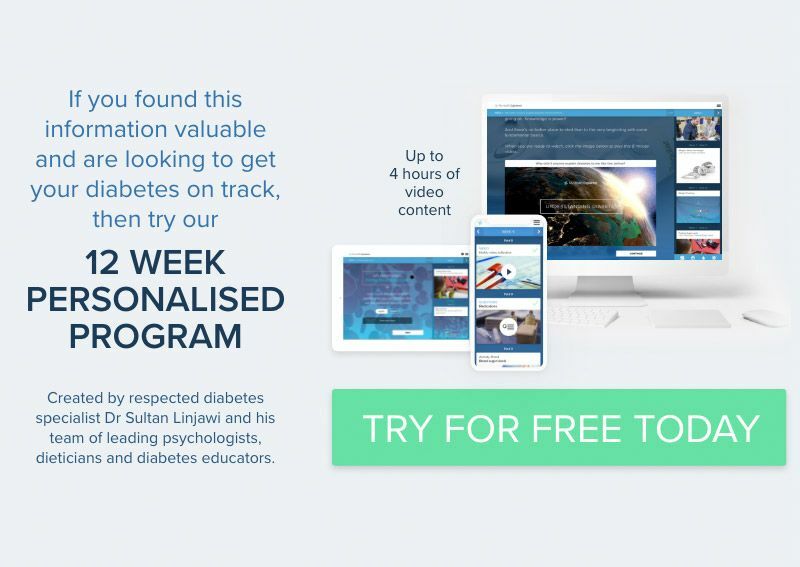 or explore our 12 week diabetes program. It has not been formally tested in pregnancy and trials testing the safety of degludec in pregnancy are currently ongoing. In people with type 2 diabetes, Ryzodeg insulin has been tested in people who have never been on insulin (called insulin naïve), as well as people already on insulin who were swapped over to ryzodeg. Those previously on insulin were either on a once daily long acting basal insulin (typically Lantus insulin glargine ) or mixed insulins. How is degludec (Tresiba) different? Insulin degludec is an ultra long acting basal insulin that has a very long action after it has been injected under the skin. As compared to insulin glargine it last for about 5 days and is more consistantly released into the blood stream. In studies insulin degludec was a associated with a 30-50 percent lower risk of having a low blood sugar (hypo). What dose of Ryzodeg should be used? The dose of insulin varies from individual to individual based on their insulin resistance and how much insulin their pancreas is still able to produce. The dose needed is therefore related to glucose levels that the insulin is able to help achieve without causing low sugar readings (known as hypos or hypoglycaemia). You need what you need and it can vary from 10 units to 400 units daily. In people starting insulin for the first time the trials suggested a starting dose of 10 units Ryzodeg either once or twice per day immediately prior to eating. Ideally the insulin should be administered with the largest carbohydrate meal. The dose of insulin needs titrating based on medical direction but typically would follow a simple titration algorithm outlined below. In those on mixed insulins already such as Mixtard 30/70, Novomix 30 and Humalog Mix25 a simple swap at the same dose is appropriate. For example if a person is taking Novomix 38 units before breakfast and 16 units before dinner would be changed to Ryzodeg 38 units before breakfast and 16 units at dinner. What dose to use in people on a single once daily long acting basal insulin such as insulin glargine(lantus) is less clear but the safest strategy and advice is to swap insulins at the same dose and then titrate according to the fasting blood glucose level and the titration algorithm. What titration algorithm is used with Ryzodeg? Currently there is no official algorithm recommended for use with Ryzodeg 70/30 insulin. It is based on the medical advice and depends on the desired fasting glucose level. In the extensive clinical trials BOOST program, however, a simple and effective titration strategy was used to get people on the right dose. Due to the ultra long acting nature of insulin degludec the aim for titration is to achieve a acceptable fasting glucose level (taken before eating breakfast). The average of 2-3 fasting reading is worked out and the dose altered based in the following formula. Titration should be performed at least weekly until glucose levels are at the medically recommended target. So I want to just talk a little bit about Ryzodeg. Ryzodeg is a new insulin that is being launched all over the world. Essentially Ryzodeg is a combination of a long acting insulin called insulin degludec and the brand name for that is Tresiba and that is mixed in with Novorapid or insulin aspart. So it is a basal insulin, a long slow insulin combined with a rapid acting insulin. It is therefore similar to other mix insulins and traditionally it is being used in a very similar situation that we would have used something like Novomix 30, HumalogMix 25 or Mixtard 30/70. Twice daily insulin with lunch and dinner to get decent coverage throughout the day. But actually Ryzodeg is a lot more flexible and a can be used a lot smarter as an option moving forward than Novomix, which has been around for about 20 years. And the reason it is so much more useful particularly in the hands of someone who understands how to get the best out of it is because it has a very long acting basal component, tresiba (degludec). So you can use it like this. You might choose to have it maybe twice a day or alternatively you can use the long acting insulin in here as your background. And then have a Novorapid dose with your breakfast, lunch and the Ryzodeg at dinner. Now let's say you are not going to eat very much dinner today because it is such a long acting insulin you can then exchange Ryzodeg and have it at breakfast. And if breakfast is your main carbohydrate meal you would have Novorapid at lunch and dinner. But again it is very long acting so maybe the day after you think well actually I'm not going to have a very big breakfast, I'm going to have a big lunch so you can literally move your Ryzodeg dose from meal to meal to meal depending on your carbohydrate intake and your lifestyle, critically your lifestyle. And maybe you think well actually, I don't eat very big meals, so the Novorapid component is too big for me. The amount of carbohydrate that I'm consuming is not enough for the 30% Novorapid in Ryzodeg. Well very simple, you just split the Ryzodeg in two and have Novorapid as your third meal. And again because it is so long acting you can swap and have Novorapid with breakfast, Ryzodeg at lunch and dinner. Alternatively, if you don't have breakfast you could just have nothing for breakfast but Ryzodeg at lunch and dinner. The flexibility is really quite impressive in terms of trying to match your lifestyle and the ability to tweak the system to get the best results is great. So Ryzodeg is becoming more and more available. I think it is something being aware of because it maybe something that you are going to need to know about. The other thing I want to show you about Ryzodeg, very quickly, is it is in the new Flex touch pens. So traditional pens you dial up, and when you dial up you can see the plunger moves out. With Ryzodeg, actually you dial and the plunger stays where it is. And it is a much gentler button compared to the traditional pens.